The policy prohibiting sale of liquor alongside state and national highways posed a serious challenge to the alcobev category last year, especially when it came to volume growth. According to reports, the overall volume of sales for the alcobev category saw a decline of 1-3 per cent last year. But players in the category are optimistic about the New Year. 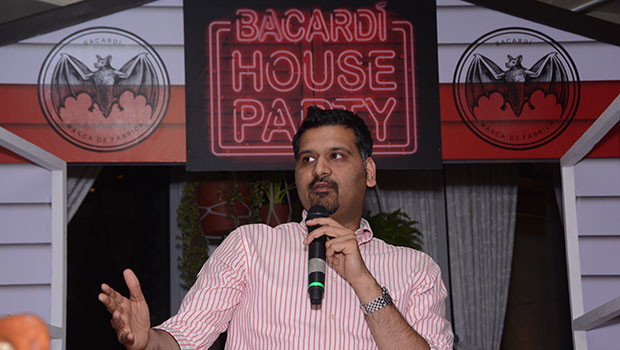 Anshuman Goenka, General Manager, Marketing, Bacardi India, claims that despite the hiccups of the past year, Bacardi has emerged as the fastest growing international spirits company in India and that 2018 will be a year of consistency. “That fact that last year we emerged as the fastest growing international spirits company in India is a testimony to how we have approached our brands, platforms and marketing and how all of it came together to create experiences for the consumer. 2018 will be a year of consistency, where we will continue to invest in platforms that we have created and make it more culturally relevant as we go along. Through this, I am sure that we will emerge victorious once again in 2018,” said Goenka. Goenka also said that tier II and III markets will be growth drivers for the brand, as they look at increased penetration in these markets. “Bacardi Rum is available throughout the country and we have a well spread out business across all states, coupled with Breezer, which is also prevalent across the states. Using these portfolios, which are quite big in volume and scale, we are driving a lot of tier II and III penetration,” added Goenka. The brand has also introduced whiskies from its global portfolio to boost growth. The company has launched all premium versions of Dewar’s whisky, including Dewar’s 12-year-old, Dewar’s 15-year-old and Dewar’s 18-year-old and have William Lawson’s as their entry-level scotch. “The whisky portfolio has been doing really great. Both William Lawson’s and Dewar’s have made in-roads into multiple states. Lawson’s is now available in 18 states and Dewar’s is available in 12 states. We are going truly national with these two brands,” said Goenka. India is the leading market in the whisky segment and accounts for about 48 per cent global volumes. While rum is still Bacardi’s strong suit, the category has been degrowing since 2012 by 1.4 per cent CAGR. “If you understand the category growth a little deeper, what has been degrowing or has been stagnant is the cheap rum. Bacardi plays in the premium rum category and premium rums on the back of Bacardi have been growing in healthy double digits. In fact, a year and a half ago, Bacardi rums crossed 1 million cases, it is also the number one international spirits brand in the country on volume basis,” explained Goenka. As far as marketing and advertising is concerned, Goenka feels that the advent of digital has helped the brand immensely. “The digital marketing approach has been working phenomenally well for us. We are now working very closely with influencers and content creators in the digital space. Through them we are creating some cool and culturally relevant content across each of our platforms. Also, partnering with stalwarts like AIB, Kanan Gill, Kenny Sebastian and Abhish Matthew, we are getting the kind of reach that we want. We also use the creators to add value in terms of our on-ground or experiential marketing strategy so I think we are really connecting the dots and that is help us drive inclusive growth on all our brands,” said Goenka. Bacardi, which came up with their campaign Bacardi House Party Sessions, about a year and a half ago, launched their second party anthem called ‘Chack Bass’ by MojoJojo. The Bacardi House Party Sessions offer a partnership that will foster each artists’ growth by providing them the right mentorship and opportunities coupled with provision of dedicated time to work on their future tracks and albums with dedicated studio time. The first leg of the House Party Sessions campaign witnessed the announcement of its winner’s (RITVIZ, MojoJojo and Aarya) huge success with the launch of the first track ‘Udd Gaye’ by RITVIZ, which garnered over 3 million views and is the 4th trending track across all genres on Apple Music, after topping the charts.